Keep your senior cat in the game with these easy tips. This post is sponsored by Hill's Science Diet and the BlogPaws Pet Influencer Network. I am being compensated for helping spread the word about the new Hill's® Science Diet® Youthful Vitality pet food for cats and dogs over the age of 7, but Sunny Day Family only shares information we feel is relevant to our readers. Hill's Pet Nutrition, Inc. is not responsible for the content of this article. Last fall, two things happened. My favorite baseball player retired and my cat turned 11. What do they have in common? My cat, Big Papi, was actually named after my favorite Red Sox slugger. And even though they are both getting older, they are both as awesome as ever. Just like great athletes slow down as the years go by, age slowly creeps up on our pets as well. But there are a few things that you can do to keep your older cat in the game as long as possible. 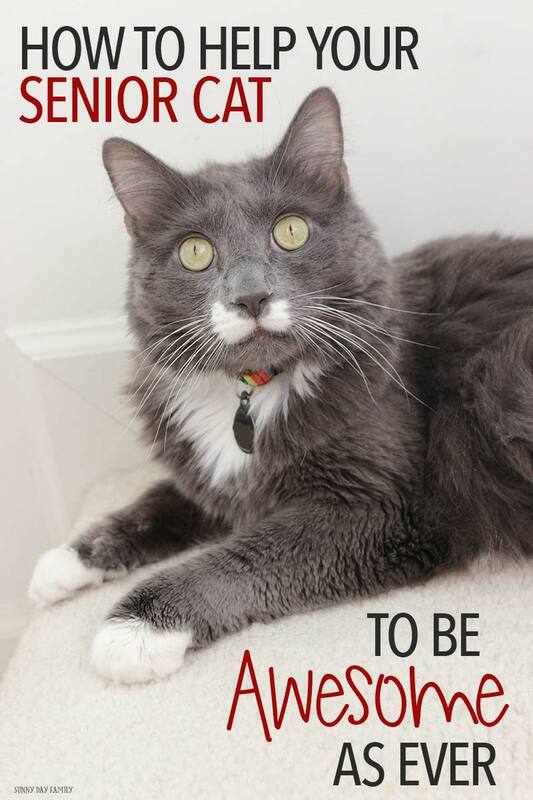 If your cat is over age seven, here are 3 things he needs you to do to keep him feeling like an all star. Our cats don't always want to show that they are getting older, so it's up to us to keep an eye out for the signs our pet is getting older. You may not even realize these subtle changes unless you know what you're looking for! Here's an easy way to remember - just think TAILS. Thinking. Your cat may get confused easily or seem like he's lost. Activity. Your cat's activity level could decrease, and he may seem to be napping more than ever. Interactions. 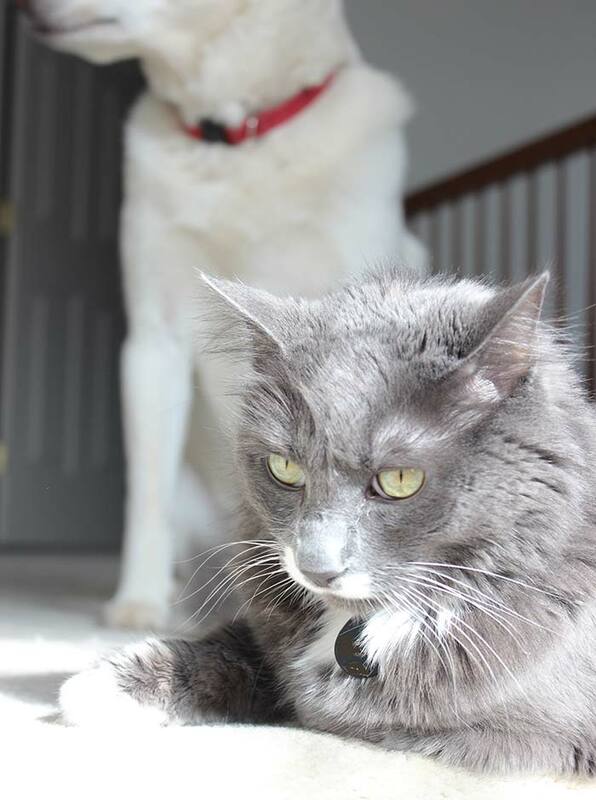 Is your pet less social or more aloof than before? This can be sign of aging. Loss of Control. Litter box accidents can be age related, especially in a cat that hasn't had problems in the past. Consider having a litter box on each level of your home to make it easier on your cat. Sleep-Wake Cycle. If your cat is prowling more in the night, it could be a sign that he's getting older. Knowing and understanding these signs is the first step towards supporting your senior cat and to helping him age gracefully. Consistent veterinary care is important for cats in all life stages, but it's even more critical for cats over 7 years of age. Most veterinarians will want to start seeing your older cat every 6 months, and may recommend additional blood work or tests to ensure your cat stays healthy. We love our vet and having a strong relationship with her has helped my Big Papi easily navigate any health challenges that have come his way. You need to choose a food that supports the needs of a senior cat to help keep him feeling and looking his best. We've recently switched Biggie to Hill's® Science Diet® Youthful Vitality dry food and he loves it. 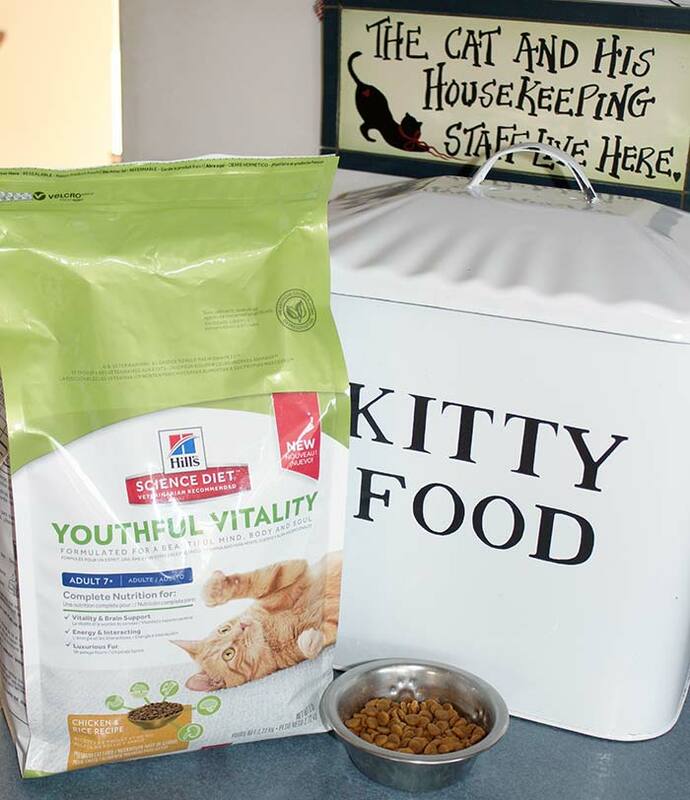 Hill's Science Diet Youthful Vitality has breakthrough nutrition scientifically developed to support a senior cat's vitality. 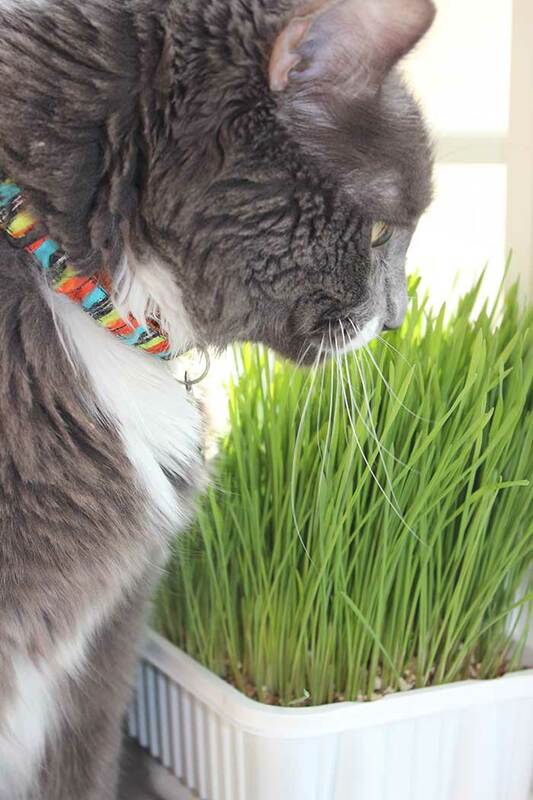 With powerful antioxidants, protein, minerals, and high quality, easy to digest ingredients, it gives my older cat the nutrition he needs with a taste that he can't resist. Learn more about the science behind it here. My Big Papi has a lot to keep up with in our house - with two preschoolers and two dogs, things are never really quiet. So keeping him in the game as he's heading into his golden years is a challenge. I'm glad that we've found Youthful Vitality to help fulfill his needs - he feels and looks good, and I'm happy knowing that I'm choosing a food that's made just for older cats like him. While he has slowed down a little over the past year, he is definitely still active and affectionate. He's also still the boss of our furry family - yes, even over his 65 pound doggie brother. He may be 11 now, which is 60 in human years (find out your pet's "real" age here), but I'm sure that with the right care and proper diet that my Big Papi has many more happy years ahead. And with the right care and proper nutrition, he'll always be the feline all star of our family. 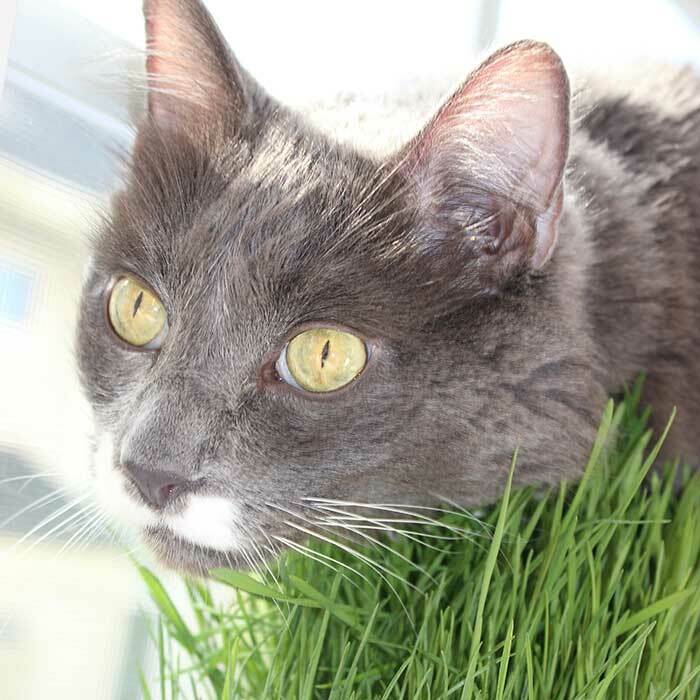 To learn more about how to support your older cat, check out Hill's Science Diet Youthful Vitality today. Be sure to follow Hill's Pet on Facebook, Instagram, and Twitter for updates and more! This is a sponsored conversation written by me on behalf of Hill's® Science Diet® . The opinions and text are all mine.